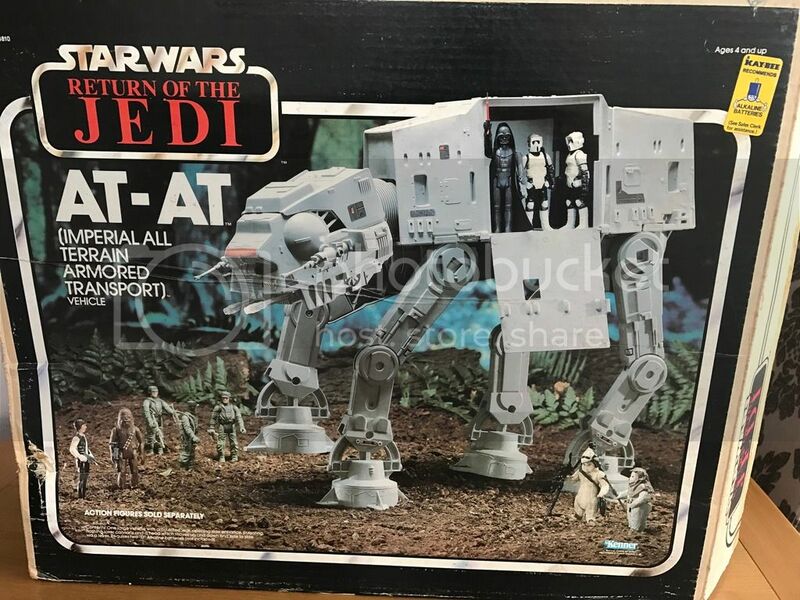 It's a Kenner ROTJ version. Reasonable enough price IMO so took a punt. 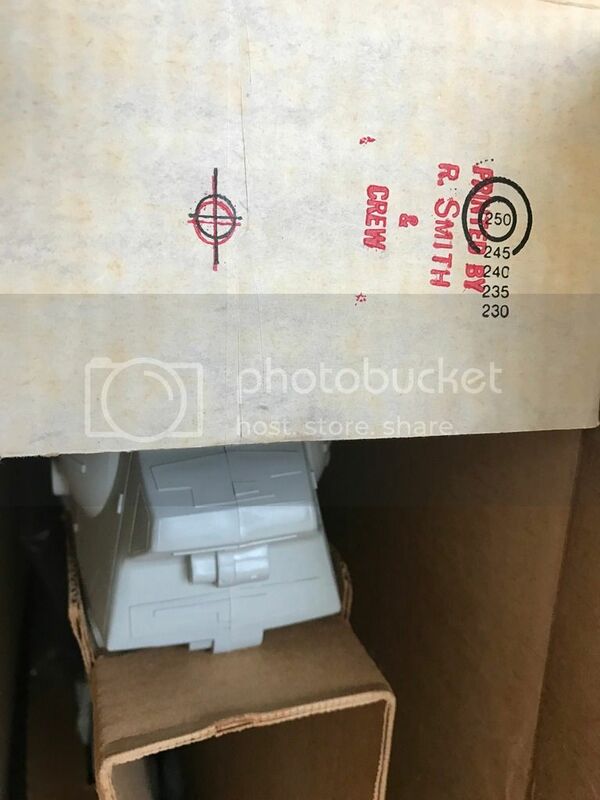 The box has kaybee price sticker, old yellow tape etc... but it also has a flap that reads : printed by 'R smith and crew'. I was wondering if any of you chaps (who unlike me know arses from elbows!) could tell me if this is legit or otherwise? Not being entirely lazy; did a search myself but to no avail... I've seen some guys on here with monster at at walker collections, so hoping someone can help! Will post pics if needs be. Would love to add pics to the KayBee library if you wouldn't mind sharing. No idea on the printing though I'm afraid. lejackal wrote: Would love to add pics to the KayBee library if you wouldn't mind sharing. No idea on the printing though I'm afraid. Actually I lied... 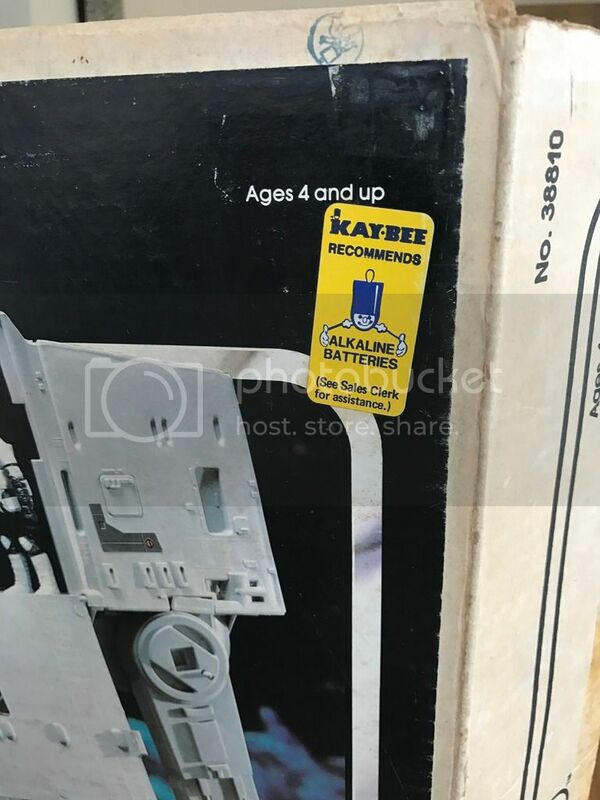 It's not a price sticker, but is a bright yellow kaybee 'this items needs a alkaline battery - ask the store clerk' sticker. Let me know if that's still of any I nterest and will post pics this avo. 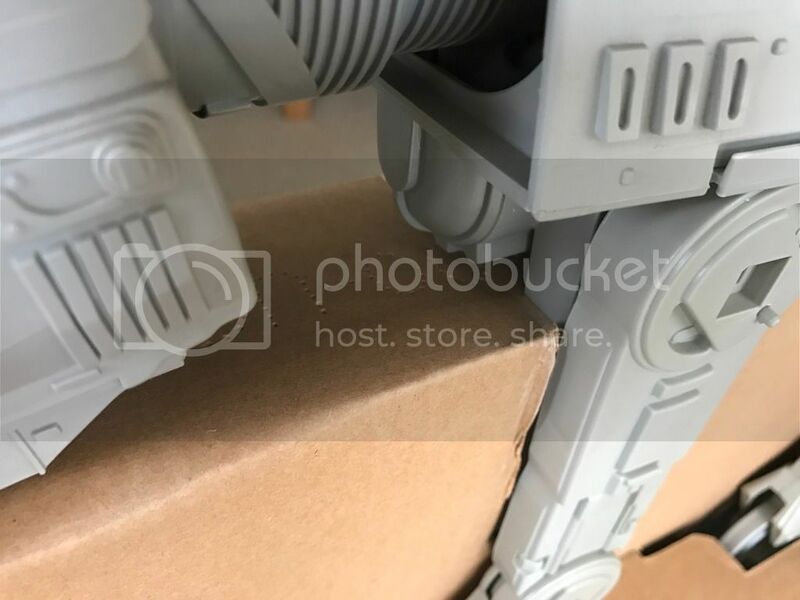 Post some pics - in truth I'd be much more worried about the "non yellowy guns" than by the entire box being repro. Yellowy chin guns are good. Bit like when you see Palitoy Death Star canopies being sold on Ebay and the seller is like "ooh these are crystal clear". Time to run a mile! Bonsai_Tree_Ent wrote: Post some pics - in truth I'd be much more worried about the "non yellowy guns" than by the entire box being repro. Will do. I know what you mean! Looks really nice to me. I notice the instructions are ESB but the box is ROTJ is that normal? Thanks for the advice. I'd never seen one with a 'printed by stamp' on it so just rang repro alarm bells despite the fact it looks and feels old. Personally I prefer the ESB box (I guess cos it ties in with the movie more - although I seem to remember an AT AT briefly in ROTJ - although maybe that's the special editions?). I might well put it on the sales here in the near future as it was a impulse buy (not my first!) as I'm trying to concentrate on loose collecting and I'm even getting priced out of those at the mo sadly ! theforceuk wrote: Looks really nice to me. 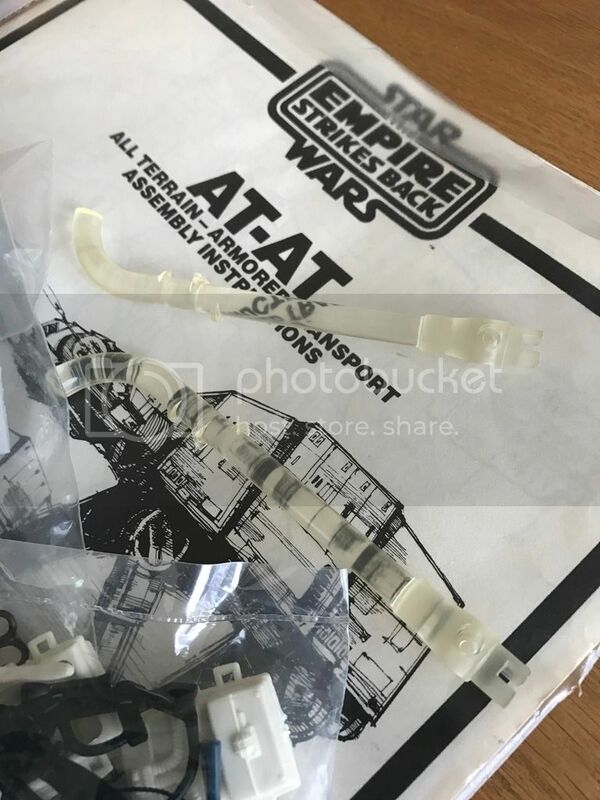 I notice the instructions are ESB but the box is ROTJ is that normal? Yes I only just clocked that (duh!) - sure it can't be right? ?, but it does feel old at least, a bit brittle and aged etc same with the stickers! Impulse buy without doing my research so was asking for trouble! Ta for the advice. Yep it does all feel right; just never seen that particular stamp on my other walker or vehicles, and it just seemed odd! Will see if I can pick up a ROTJ booklet for it! I'm pretty sure I've seen other vintage boxed items over the years with instructions from the previous film. 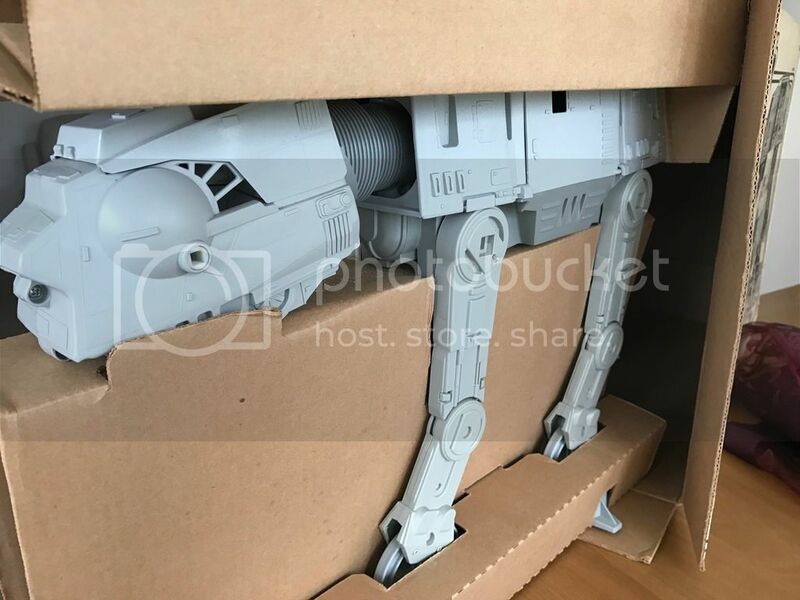 I could be wrong but if the instructions didn't change they may well have just been getting rid of some unused stock when they first released the new box. Just a thought but I'm sure it won't be too difficult to find some Jedi ones. It all looks great though and I'd be very happy with it. 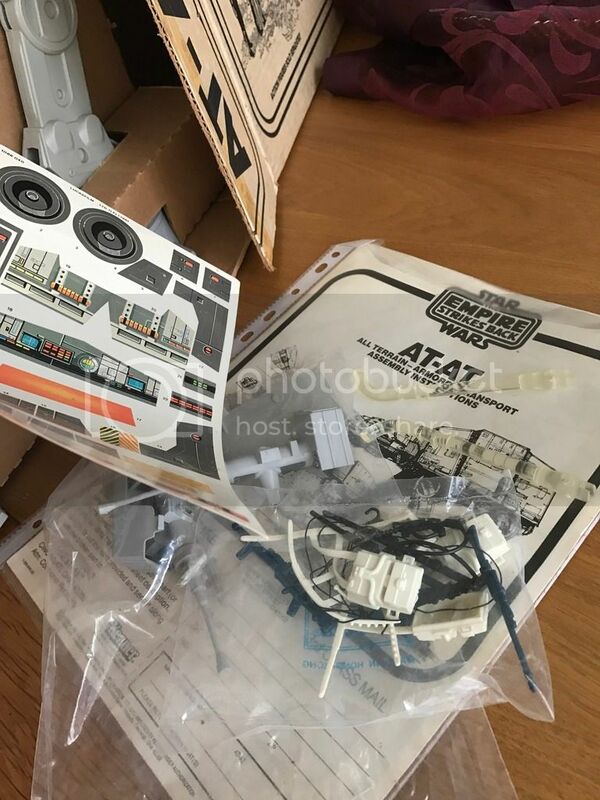 Palifan wrote: I'm pretty sure I've seen other vintage boxed items over the years with instructions from the previous film. I could be wrong but if the instructions didn't change they may well have just been getting rid of some unused stock when they first released the new box. Just a thought but I'm sure it won't be too difficult to find some Jedi ones. Cheers Ian. Yes that thought did cross my mind; in fact Im pretty sure I had an ESB falcon that had a Star Wars leaflet with it as a kid.